This dish is easy, flavorful, and brings back so many memories. 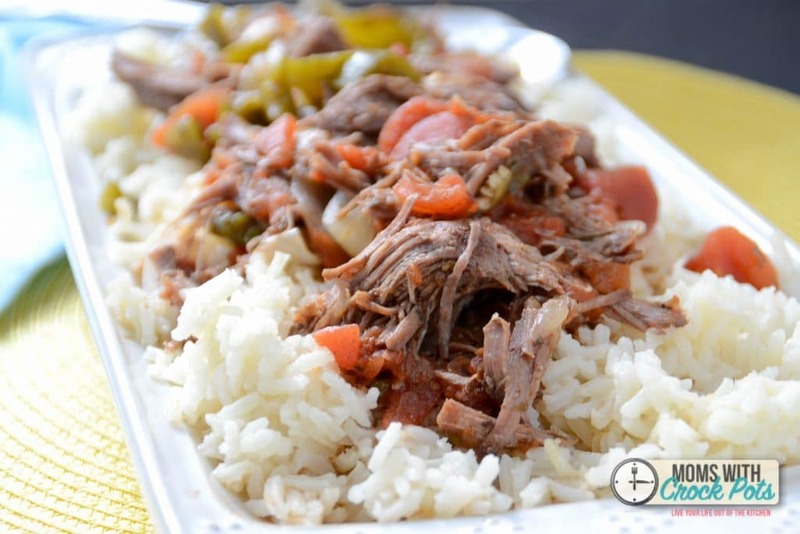 This Crockpot Ropa Vieja is one of my favorites from when I was little. 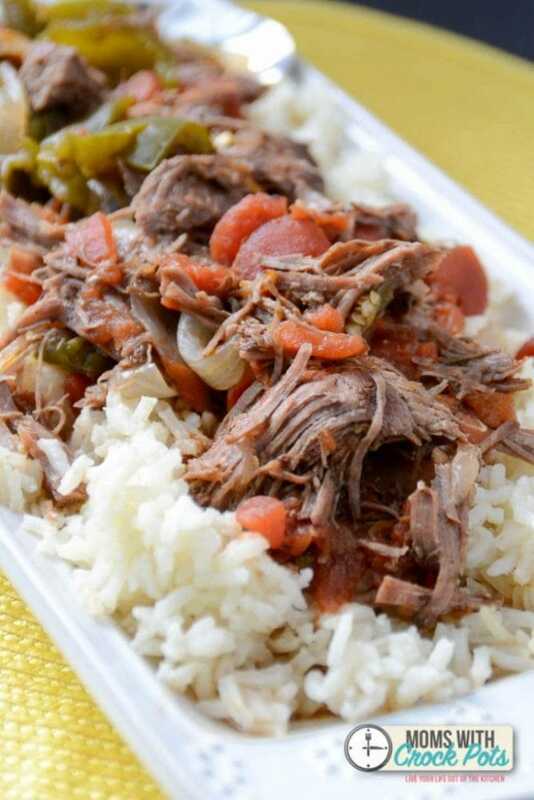 The tasty beef with the tomatoes, peppers, onion, and seasonings is a flavor that can’t be replaced. I received a sample of Aussie Grassfed Beef to try last week. We love to eat grass-fed beef whenever possible. If you haven’t read up on the differences between grass-fed and other beef you should. It is eye opening. We have been blessed with these beautiful skirt steaks, and I knew that one of them was destined for this Ropa Vieja. This is one of those simple everybody in the pot meals. 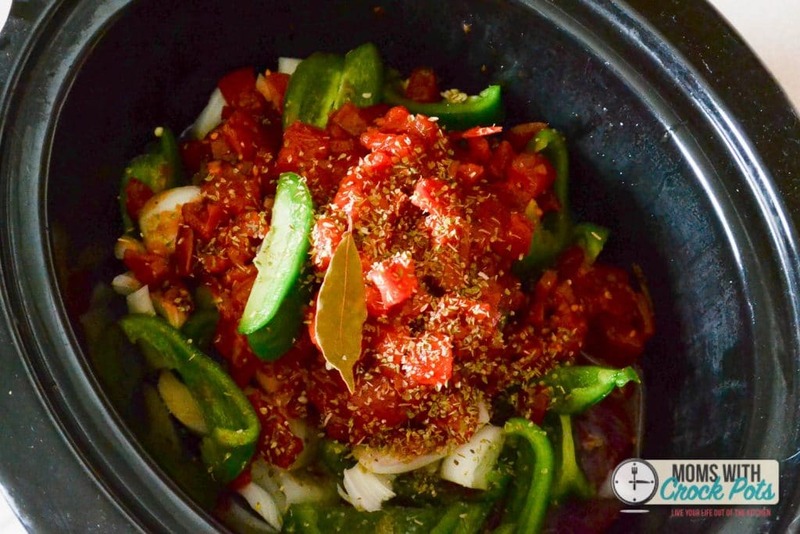 I placed the skirt steak, peppers, onions, tomatoes, and seasonings all in my seven qt crock pot and let it cook on low for 8 hours. This recipe is perfect if you are going to be out and about all day. You will come home to your house smelling heavenly. I made a quick side of rice, and a side salad to go with this masterpiece. That is all it needs. I am pretty sure everyone licked their plates clean! As for the Aussie Grassfed Beef. That was incredible! The meat was so tender it just melted in your mouth. The flavor of the beef was succulent, and it blended into this dish so nicely! It wasn’t just in the crockpot either, we made this Chili Lime Rubbed Skirt Steak on the grill earlier in the week, and it was equally as amazing! You can purchase Aussie Grassfed Beef locally in Boston, MA at Shaw’s and Stop & Shop and nationally at Whole Foods, Hannaford, and other leading grocery retailers. 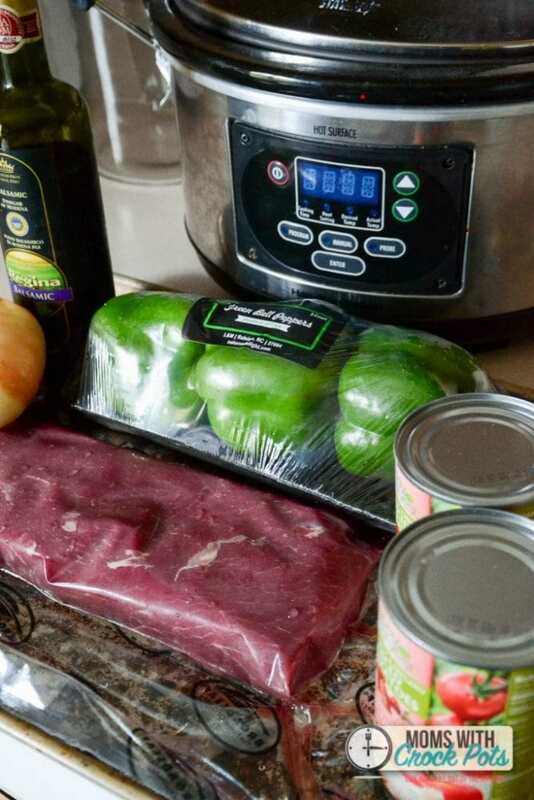 In a large crockpot place skirt steak. Top with all of the other ingredients. Cook on low for 8 hours. After 8 hours shred the beef with 2 forks. Serve over rice.